Despite the cold weather, I was in the mood for ice cream this week. 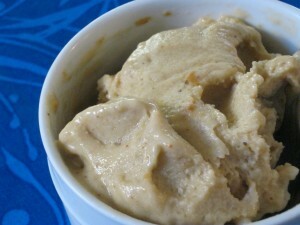 I posted this Summer about a quick and easy ice cream made in the food processor. It was our stand-by treat since I accidentally broke the ice cream maker. It’s easy, has no added sweetener and takes me all of 3 minutes to make. Try some with your kids before it gets too cold to enjoy it. This recipe is lazy cooking at its finest. Three minutes, everything goes into the dishwasher, you have quiet, happy kids and you’re done! Combine all of the ingredients in your food processor. Turn onto high and process until the entire mass forms into a ball and moves smoothly around the food processor. It will look like soft-serve. Yes, that’s it. It really does only take a couple of minutes to make it. The bananas do break down and look like shaved ice for a bit, but just keep going. It will eventually smooth out and become the consistency of a firm soft-serve. 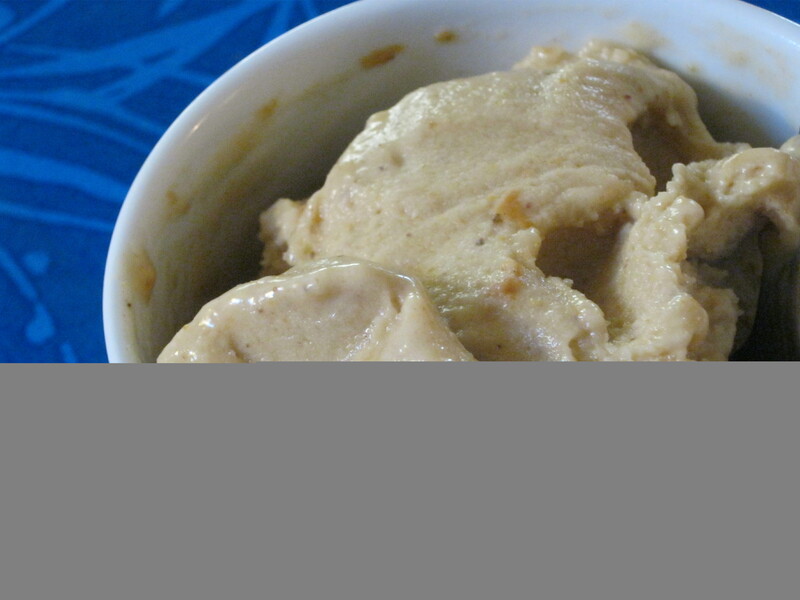 I love this ice cream because as long as I have bananas in the freezer, I can make it at a moment’s notice. My kids think it’s a big deal because they’re getting ice cream, but it’s only bananas and peanut butter with no added sugar or other ingredients. Since I’d normally let them have bananas and peanut butter as a snack, it’s a big win since they think they’re getting a huge treat. This recipe has been shared at Monday Mania, Homestead Barn Hop, Melt in Your Mouth Monday and Homemaker Monday. It’s even better when you top it with a little magic shell, drizzled across the top. I take 8 oz. of chocolate chips, and a few tablespoons of coconut oil, and melt it in the microwave. Stir well, then drizzle a little over the icecream. My favorite is the chocolate drizzle over peppermint icecream. I blend 1/2 cup of goat milk (or you can substitute what is appropriate for your family) with a handful of spinach, until it is green and there are no particles. Then I add drops of mint oil or extract, and then all frozen bananas and blend it until it’s soft serve. With the chocolate drizzle crunch on top it reminds me of a chocolate dipped peppermint icecream cone which I should abstain from, but now can enjoy after a fashion. Just springboarding off your idea. Wow! Really great ideas for sweet treats. Thank you…the peppermint ice cream sounds divine, too. I make variations of this ice cream, too. Delicious and satisfying and I don’t miss “the other stuff” at all. Not one little bit. 🙂 Yay for frozen bananas! The plain banana is my grandson’s favorite treat now! I added coconut tonight and he loved it. Just made this–brilliant! Delicious. 🙂 The texture is so great.